You've been added to the Waitlist. We'll email you once a slot becomes available. This is confirm schedule. Limited Seat. Save a slot. Submit your registration form. Pay your registration fee. Join the Waitlist to be notified when a slot opens for this schedule. You've been added to the Waitlist. We'll email you once a slot becomes available. Training Cycle. Learning Methodologies and Principles. Roles and Responsibilities of Trainer. Methods and Strategies of Teaching / Training. Qualities of the Trainer, Effective Oral Communication, Planning and Delivering a Presentation, Evaluating Training, Trainer Presentation Skills, and more. 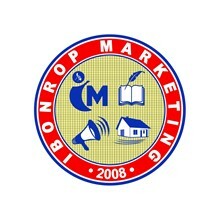 iBonrop Marketing is managed by its owner, Ronald Pornobi. iBonrop Marketing is a business entity registered with the DTI and BIR, and is in operation from February 2008 to the present. iBonrop Marketing has been a partner of DOLE in promoting and propagating safety and health in the Philippines by organizing safety training events and seminars. Ibonrop Marketing is the marketing arm and affiliate of DOLE Accredited Safety Training Organization. Mr. Ronald Pornobi, is a DOLE Accredited Occupational Safety and Health Practitioner (OSHP) with DOLE Accreditation No. 1033-181210-C-524 from year 2006. He was an Overseas Filipino Worker (OFW) for 11 years in the Middle East. He holds PRC licenses as: professional teacher, real estate broker, real estate appraiser, registered master plumber, and engineer. He is currently taking up subjects for his Bachelor of Laws (L.Lb).